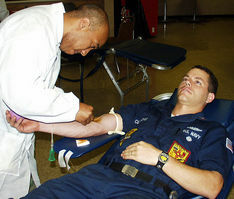 1 Caption: The U.S. Navy's Nicholas Clemmons donates blood. 2 You already know what a bank is. Your parents (and maybe even you) put money in a bank to keep it safe. But you've probably never been to a blood bank. What is a blood bank? It is a place where blood is stored to keep it safe. "Why would anyone want to store blood?" you might ask. The answer might surprise you. 3 In the United States, about every two seconds, someone needs blood. That's 30 people every minute. That's 1,800 people every hour. That's 43,200 people every DAY who need blood. 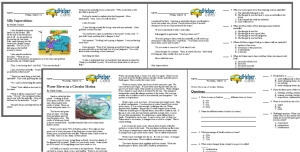 Feedback on What Is a Blood Bank?